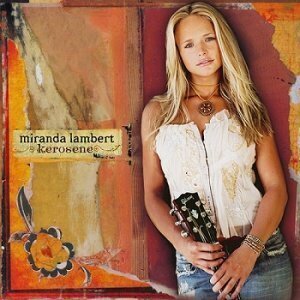 Kerosene is the first studio album by American country artist Miranda Lambert. The album was released March 15, 2005 by Epic Nashville Records and was produced by Frank Liddell and Mike Wrucke. After placing third in the television competition, Nashville Star in 2003, Lambert signed with Epic Nashville in 2004. The album spawned four Top 40 Billboard Country Chart singles; however, only the title track was a major hit, peaking at number 15.